If you think you know just about everything there is to know about the seminal role-playing game Final Fantasy VI, watch this beautiful speedrun and prepare to be proven wrong. 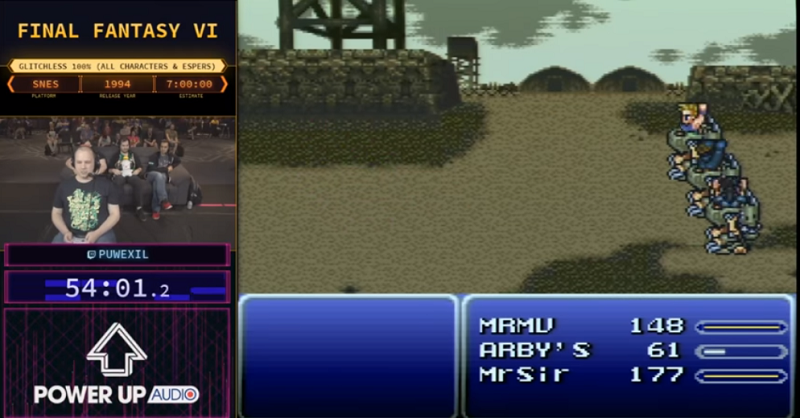 I didn’t have much time to watch last week’s Summer Games Done Quick, but I did carve out a chunk of yesterday for the finale, which featured speedrunner Puwexil playing through a full glitchless run of Final Fantasy VI. I’m glad I did. This seven-hour speedrun took Puwexil through the entire game, collecting every character and esper along the way. What’s especially impressive about the run is how precise it is. Puwexil has planned out pretty much every step perfectly, and he knows the game so well that he doesn’t just remember map layouts and item locations, but which tiles don’t have random encounters and which enemies can be manipulated into attacking just when he wants them to attack.